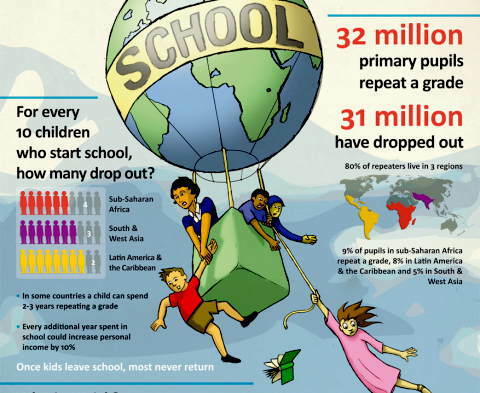 According to UNESCO, 42% of African children will drop out before finishing primary school. Because the dropout rate is so high, many adults don’t know how to read or write. So in most areas where translation is going on or needed, there are high levels of illiteracy. In fact, in most of those areas the dropout rate is well above 42%. So, translating the Bible without doing literacy results in little impact. But the major North American agencies that fund most of translation work are hesitant to do much literacy because they consider it a “black hole”. By black hole thy mean something one can put lots of money into and never get to the end of it. They are both right and wrong about this. They are right because of the statistics I cited above. Africa’s population is growing and many children drop out of school. So every year hundreds of thousands, perhaps millions of Africans become adults not knowing how to read. Even if a literacy program reached all of them, the next year more would be added. A charity could spend millions of dollars for decades and not solve the problem. The metaphor of a black hole fits. But, the metaphor is also wrong. Literacy is only a black hole if you try to solve it once and for all. There are lots of low-cost things we can do to help people learn to read their newly translated Bibles without trying to “solve the literacy problem”. Many people could be blessed by spending a fraction of the money spent on translation on well-conceived literacy efforts. Many churches in Africa could run such programs at very low-cost and some, if informed and trained, could cover the costs themselves. It’s a modern malady – if we can’t solve something definitively we feel discouraged and don’t want to do anything about it. But Jesus didn’t call us to solve the world’s problems definitively, just to love our neighbor. The idea that we must fix a problem can prevent us from obeying that simple injunction. For me, calling literacy a black hole is a great example of that. This entry was posted in Bible translation, Literacy and tagged black hole. Bookmark the permalink.